In the southwest, entire festivals are dedicated to the chile pepper and chile pepper stews. 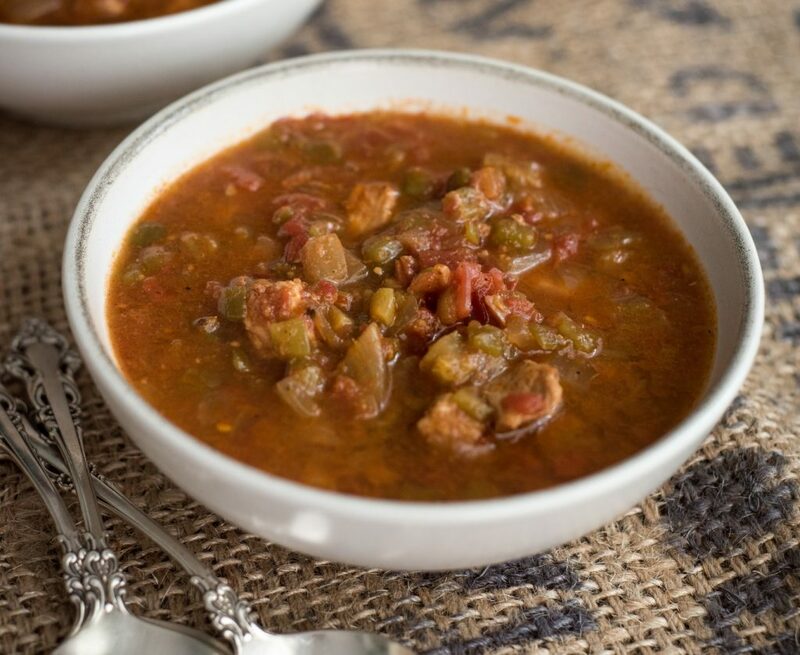 Green chile stew, or green chili, usually includes pork, tomatoes, spices and, of course, plenty of those green chiles. 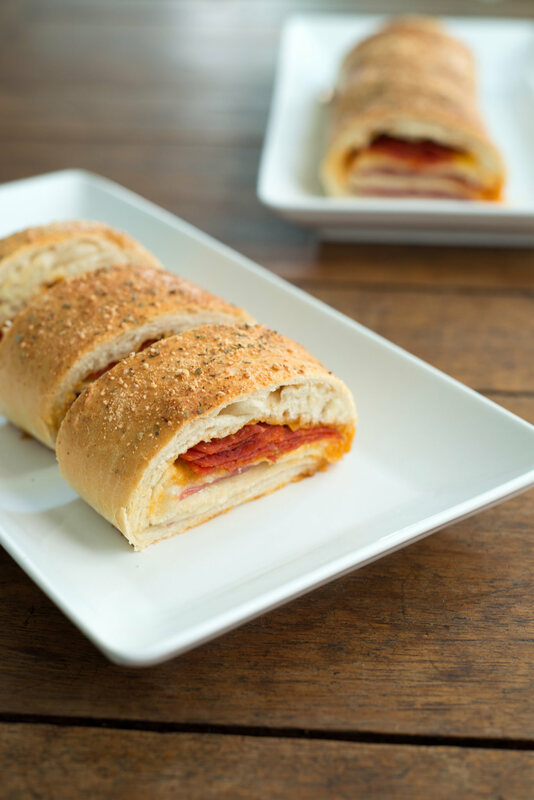 If you’ve lived in the northern Virginia branch for any length of time over the past 20 years, you’ve probably had Therese McNichol’s stromboli. Several times. And loved it. “I’ve made it a million times,” Therese says. For one thing, it freezes very well, so she can make a big batch ahead of time for large gatherings. Therese makes her dough from scratch, but the recipe can be simplified by using store-bought pizza dough. For a different take, Therese often makes a breakfast sandwich out of it, filling it instead with scrambled eggs and sausage. 1. In a small bowl, mix yeast and water. Stir to dissolve and let sit five minutes. 2. In a large bowl, mix together flour and salt. Make a well in the middle of the dry ingredients and pour in the olive oil and the water/yeast mixture. Toss with a fork until the mixture comes together. 3. Turn the dough out onto a floured surface and knead until it’s no longer sticky, adding flour 1 tablespoon at a time. Place the dough in a large, greased bowl, covered with a damp towel, and let rest in a warm place until doubled in size (about two hours). 4. Divide the dough in half. On a floured surface, roll each piece of dough into a rectangle (approx. 12 x 15). 5. On the narrow side closer to you, lay a row of salami 2” from the edge of the dough. Sprinkle 3 tablespoons of mozzarella over the salami. Fold the edge of the dough nearest you over this row. Lay down a row of pepperoni and cheddar. Roll again and do a second row of salami and mozzarella. Sprinkle this row with a tiny dusting of flour (1 tsp). Fold in the sides and keep folding/rolling until you reach the end of the dough. Pinch the seams together at the sides and bottom. Lay seam-down on a greased cookie sheet. Repeat for the second piece of dough. 6. In a small bowl, beat together 1 egg and 1 tablespoon water. Brush each stromboli with this mixture and sprinkle with garlic powder, Italian seasoning and parmesan cheese to taste. 7. Bake at 400F until brown, 20-22 minutes.